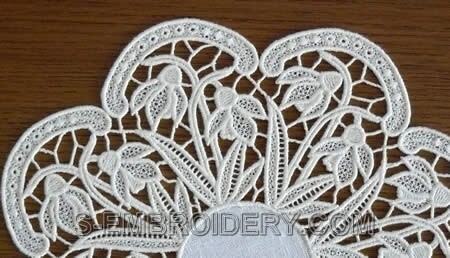 A nice snowdrops free standing lace machine embroidery design. 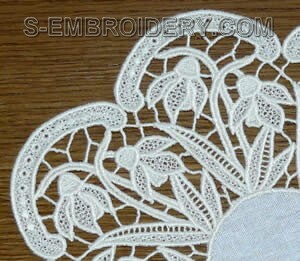 The doily it will produce has a diameter of 10 inches (26 cm). 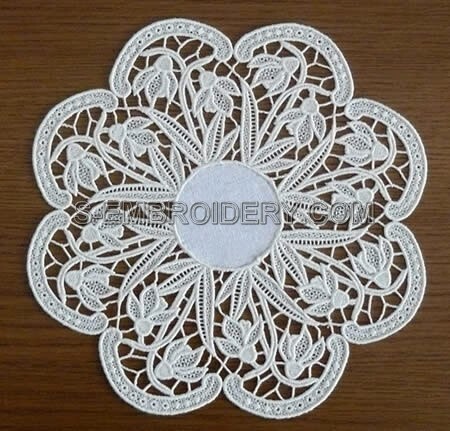 The design comes with instructions in PDF format for creating the doily.